Heaven can wait, but reincarnation has a strict deadline. “Paragons” must prove their worthiness in forty-nine days or they will have to go through the purgatorial slog with the rest of the moral slobs. Apparently, paragons run in the family. Gang-lim and his team of guardians helped firefighter Kim Ja-hong navigate the seven hells and now they have been assigned to his murdered brother Su-hong. 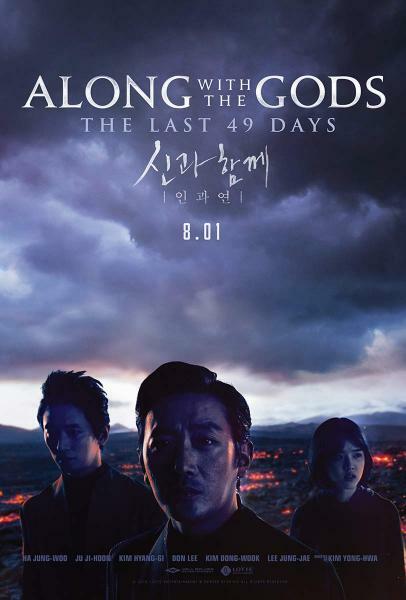 This time, the case awakens painful memories for the guardians that had been suppressed for nearly a millennium in Kim Yong-hwa’s Along with the Gods: The Last 49 Days (trailer here), which opens this Wednesday in New York.